Fine Art Prints Make Excellent Gifts- With Free Shipping Until December 16th! You may be wondering exactly what to get for your artist or art fan friend or family member. A nice original painting by one of their favorite artists would be a spectacular gift, but let's face it, that's probably not in most of your budgets. This is one of the reasons why we've invested in a high quality fine art printer and begun expanding our print catalog this fall- when done right, a fine art print made on archival canvas, signed by the artist and framed or presented the right way, can have a presence on a wall that compares to that of the original, but at a fraction of the price. We added a new one to the catalog today with a special price for the holidays. 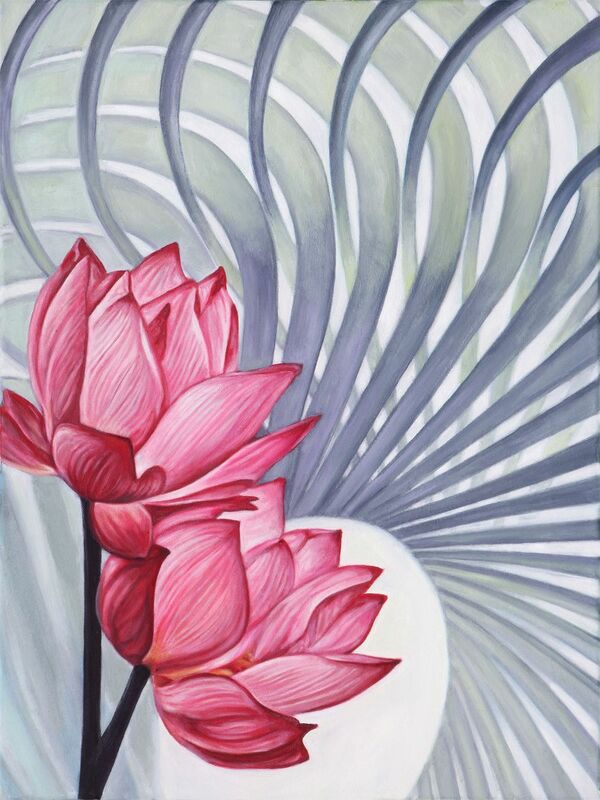 Michele Wortman's newest painting, Red Lotuses, is being offered as a moderately sized print at the special price of $25 until the 25th of December. It combines her modern minimalist aesthetic with a splash of bold color, and will pop out from any wall. The print is 9x12" plus a 1" colored border for mounting purposes. We do our own color matching and have gotten near-perfect print results on this one, and I'm proud to add it to the Hyperspace catalog. 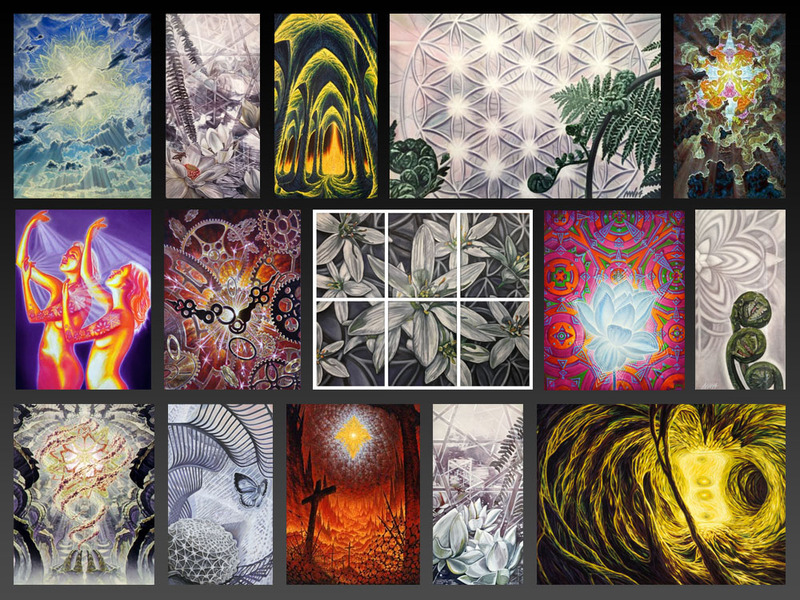 We recommend looking over our entire print catalog, since we have prints of all sizes, styles and price ranges to choose from. We've included a choice sampling of some of them in this bulletin in case you want to take a closer look. Best of all, we are offering FREE SHIPPING on all print orders placed in the US before December 16th, and all orders received by then are guaranteed for delivery before Christmas. In case you are wondering how to frame or present your gift, you have a few options. Prints come rolled up safely in a cardboard tube and can simply be wrapped and given in that form, allowing the recipient to frame it to their taste. You can also find a ready-to-use frame at your local hobby store, which sometimes works really well, especially on the standard sizes such as the 9x12" Red Lotuses. Simply buying canvas stretcher bars and stretching the canvas also makes for a great presentation, but we only recommend this if you have some experience stretching canvas. Last but not least, you can talk to your local frame shop about more deluxe options. Whatever your presentation may be, fine art reproductions can bring a lot of excitement at gift-giving time... drop by our print gallery to see what we've got.